So Greenlots has sent me 3 rfid cards and they always return an "invalid" error when scanned. I usually just use apps to activate charging sessions, but I like having rfid cards for backup. My EVGO & ChargePoint cards were free and they work fine. Greenlots charges $5 for one, and it's already a losing proposition for them, as they've spent more on postage already. Have you tried at multiple (different) charging stations? Or is it always the same few that give an error? TheLondonBroiler wrote: So Greenlots has sent me 3 rfid cards and they always return an "invalid" error when scanned. I usually just use apps to activate charging sessions, but I like having rfid cards for backup. 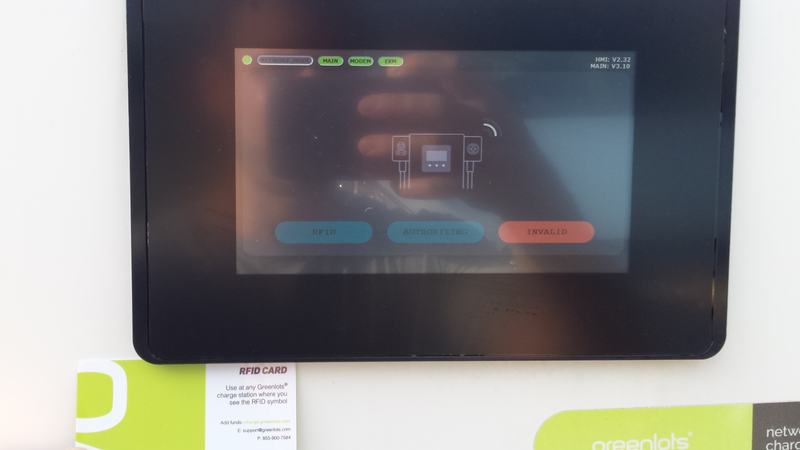 My EVGO & ChargePoint cards were free and they work fine. Greenlots charges $5 for one, and it's already a losing proposition for them, as they've spent more on postage already. Recently, I used my Greenlots FOB to charge at the SMUD DCFC in Citrus Heights, CA. It worked fine. 30 minutes later I tried to charge at the SMUD DCFC in Elk Grove, CA and it would not work. I requested and received a replacement RFID card from Greenlots. This week, I tried the new RFID card on the SMUD DCFC in Elk Grove and this time it worked. However, this location has two DCFC stations and there was a note on one about not being able to activate the DCFC. Have you tried other Greenlots charging locations? SparkE wrote: Have you tried at multiple (different) charging stations? Or is it always the same few that give an error? I keep all my rfid cards in a manual case/organizer. Update: Greenlots quietly resolved this. I called Greenlots about a month ago (after 3 emails went nowhere), spoke to a representative, and calmly told her how disappointed I was that I PAID $5 for this rfid card that doesn't even work, how ChargePoint and EVGo sent me theirs for free and they have been flawless, but that I still love Greenlots, and yada yada yada, if you can have someone who specializes in this area give me a call back so that this can be resolved, I'd appreciate it. Well, I never did get that call, but I was cruising around today, and did 3 dcfc sessions, on the second of which, I had the genius idea to retry the card. Success, it said, whereas before it was "invalid". The first one was a free station, but the next one was a paid station, and worked great too. This was obviously an error on their end, but I'm just glad they got things ironed out. Maybe I should call them up and see if they want the other 2 rfid cards they sent me back If you're reading, thanks Greenlots! I do not have the card, but I have the thicker keychain rfid. Mine works at the 65kw stations like HQ and the airport, but does not work at 50kw stations like Elk Grove. Never called to ask about it. 67goat wrote: I do not have the card, but I have the thicker keychain rfid. Mine works at the 65kw stations like HQ and the airport, but does not work at 50kw stations like Elk Grove. Never called to ask about it. Now that is interesting! I too had my Greenlots "keychain" RFID device fail at the Elk Grove station. I requested and received a credit card sized RFID card and it worked just fine. ???? 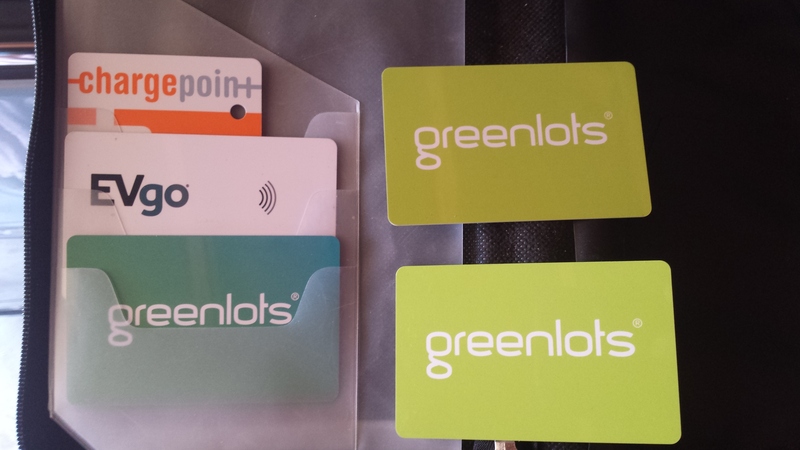 Never have had a RFID card from Greenlots, always use the phone app and never had a problem. 2014 Blue Spark with DCFC. boatbum11 wrote: always use the phone app and never had a problem. Should one's phone become inoperable or lost while out and about and needing to charge, it would then become problematic. I guess since I don't have much of a personal support system, I like to prepare for worst case scenarios ( and hope for the best. I carry a spare tire at all times too). I'm definitely not knocking on anyone who chooses to solely rely on the app. I should mention, if the network is down, it probably doesn't matter if you're using the app or card, it probably won't work regardless. An interesting tid bit, my closest Greenlots charger has gone "Offline" twice since I've had my EV. In both instances, it allows you to charge for free. The touchscreen simply allows you to select Ready and select Connector type. Maybe this is an option left up to the service provider (allow free charging or don't allow charging at all).